Ford will lay off many employees in Europe. Plant closures were an option too, the company announced on Thursday. It is unclear how many people exactly will be let go, but Ford Europe’s CEO Steve Armstrong stated this was about thousands of jobs. In all of Europe, Ford employs well over 50,000 people. Most of them, more than half, work at the two German plants, in Cologne and Saarlouis. Some five years ago, Ford had already ended vehicle manufacturing in Great Britain, when the Ford Transit van had to make room for a new model. The successor is being built in Turkey. But 3000 engineers are still employed by Ford’s development division in Essex. In order to “improve the structural costs of the European branch”, the company intended to “reduce overstaffing in both the commercial and mercantile areas in all parts of the company”, the official announcement read. Armstrong said in case of a ‘hard Brexit’, the measures Ford had decided to take would be reviewed again. Around 18,000 people work at Ford’s Cologne plant alone, and thousands more in Saarlouis. The company said it wanted to decrease its labor costs as much as possible, but “cooperate with social partners and other interest groups”. The German division of Ford was founded in 1925, after a moratorium on imports of vehicles made abroad was scrapped. 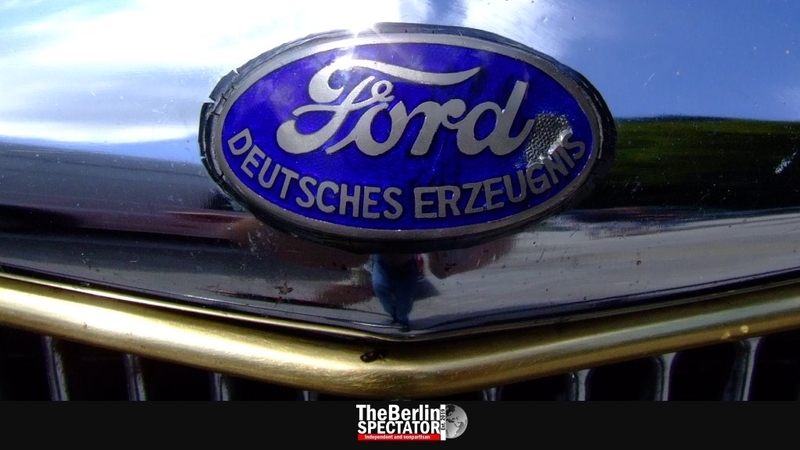 At first, Ford vehicles were assembled in Berlin, using parts shipped from America. Later, Ford Germany moved to Cologne. In Nazi Germany, Ford was forced to cease its production of passenger cars and to build vehicles for Hitler’s Wehrmacht. Back then, Ford in the U.S. announced it had lost control of Ford in Cologne. But only half the stock of the German division was actually in German hands. After WWII, Germany’s Wirtschaftswunder (economic miracle) increased Ford’s sales substantially. In the last decades of the 20th century, models such as Taunus, 17M, 20M, Consul, Granada, Capri, Fiesta, Sierra, Mondeo and Scorpio were very successful. In recent times, the Ford C-Max and the latest Fiesta model secured the company only a small share of the market in Germany.